La Vida representatives recently attended the East Asia Investment Immigration summit held at the Renaissance Hotel in Hong Kong. 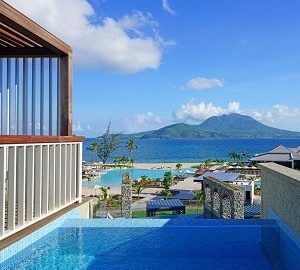 Speakers included the Prime Ministers of Saint Lucia and the Commonwealth of Dominica, two popular countries for citizenship by investment. 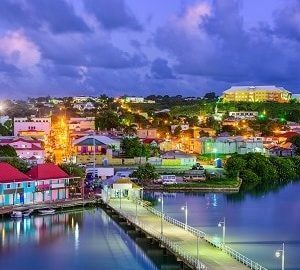 Opening the summit, Prime Minister Allen Chastanet outlined the importance of the CBI programme to Saint Lucia, and elaborated on how contributions to the National Economic Fund are being spent. Calling for greater unity between the Caribbean nations, he also praised the other CBI programmes for their integrity – and emphasised the importance of comprehensive and uncompromising due diligence in maintaining the longevity and continued success of the programmes. Speaking on the second day of the summit, Prime Minister Roosevelt Skerrit described the devastation suffered in Dominica as a result of Hurricane Maria. 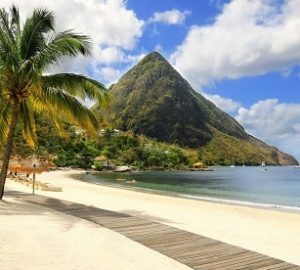 Emphasising the importance of preventing a ‘race to the bottom’, he expressed his strong advocation for a mutually agreed upon ‘base price’, set by the governments of all countries in the Caribbean. PM Skerrit extended an open invitation to the Prime Ministers of St. Lucia, St. Kitts, Antigua and Grenada to come together and discuss ways in which the countries can continue exercising their right to healthy competition without jeopardising the sustainability of the programmes. Senior members of the Citizenship by Investment Units of Dominica, Saint Lucia and Grenada were also present at the summit. 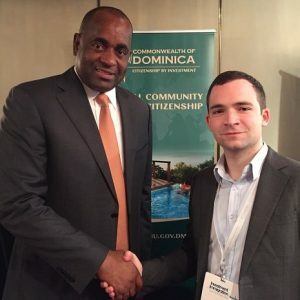 La Vida’s Daniel Twomey met with Ambassador Emmanuel Nanthan, Director of the Citizenship by Investment Unit in the Commonwealth of Dominica, to discuss La Vida’s continued involvement with the programme. Expressing his ongoing support for all those involved in the promotion of the Citizenship by Investment programmes, Ambassador Nanthan thanked La Vida, and pledged continued support as the CBI programme grows from strength to strength and continues to attract new applicants from around the world. 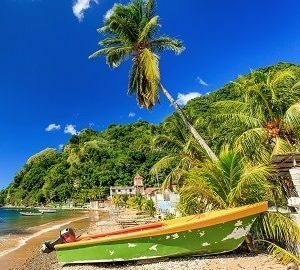 To find out more about the Citizenship by Investment programmes in the Caribbean, please contact La Vida on +442070601475, or by emailing info@goldenvisas.com.